Before we get to this weeks Book Wars, we have a winner to announce. The Book Wars winner for is..... ! Thank you to everyone who voted for both books, and for picking a winner. Synopsis: Samantha is a stranger in her own life. Until the night she disappeared with her best friend, Cassie, everyone said Sam had it all-popularity, wealth, and a dream boyfriend. 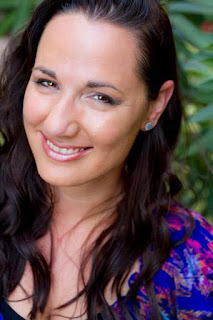 Lisa Who doesn't love Jennifer L. Armentrout? I know I do! Or can you tell from some of the choices I've made for Book Wars! recently? 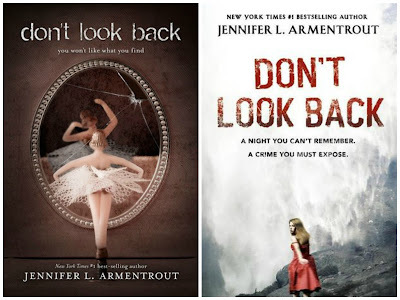 And while I was looking over her books I noticed that Don't Look Back had two different covers for US and the UK and couldn't resist. I've seen the US cover in person and it's stunning, without a doubt. However there's something about the UK cover and the play on the title with the model, looking back that I love. And I like the splash of color with her red dress and the red in the title. The UK cover is a winner for me this week. Do you have a favorite? Tell us below. Michelle I own a copy of the UK book, but I've also seen the US one around. Looking at these covers next to each other it's clear to me which is my favourite. The US cover is dramatic and I like how the poses in the mirror are different, but I don't really feel anything towards it. The UK cover however is also dramatic in it's own way, and I like how they have posed the cover model. It's a UK win for me this week, which cover do you like the best? 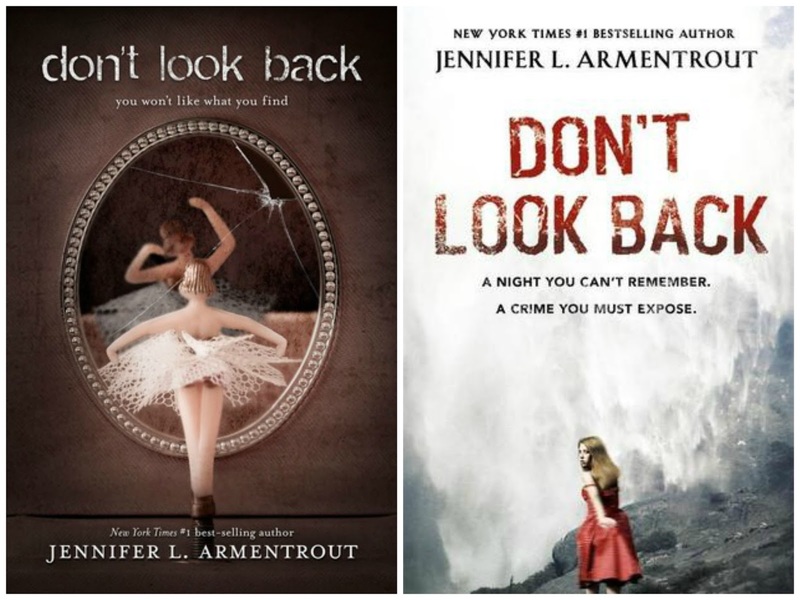 VOTE for YOUR favorite cover of Don't Look Back NOW!